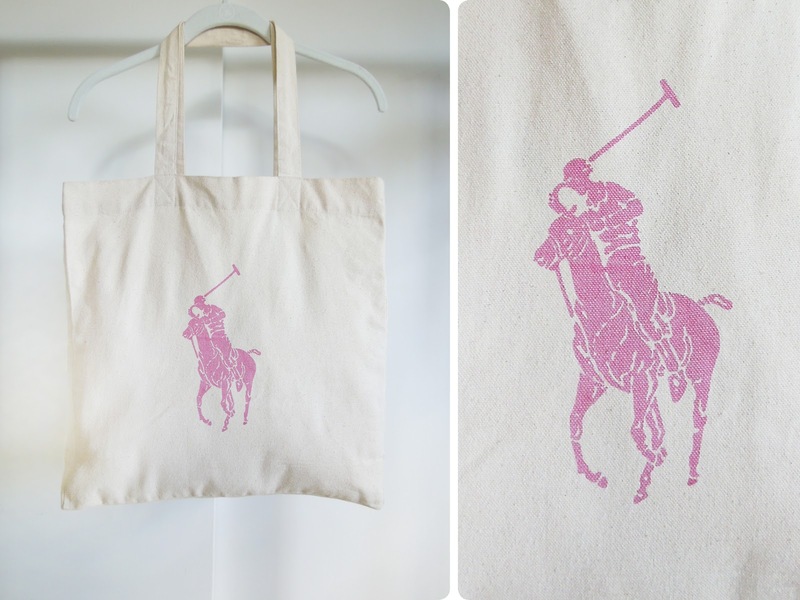 Canvas screen printed Pink Pony tote by Ralph Lauren. 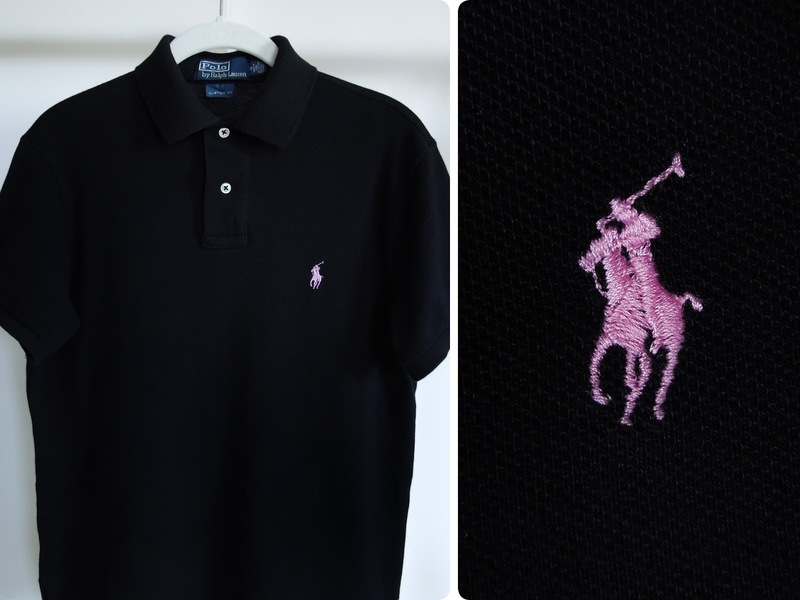 Black custom fit mesh Pink Pony polo shirt by Ralph Lauren. 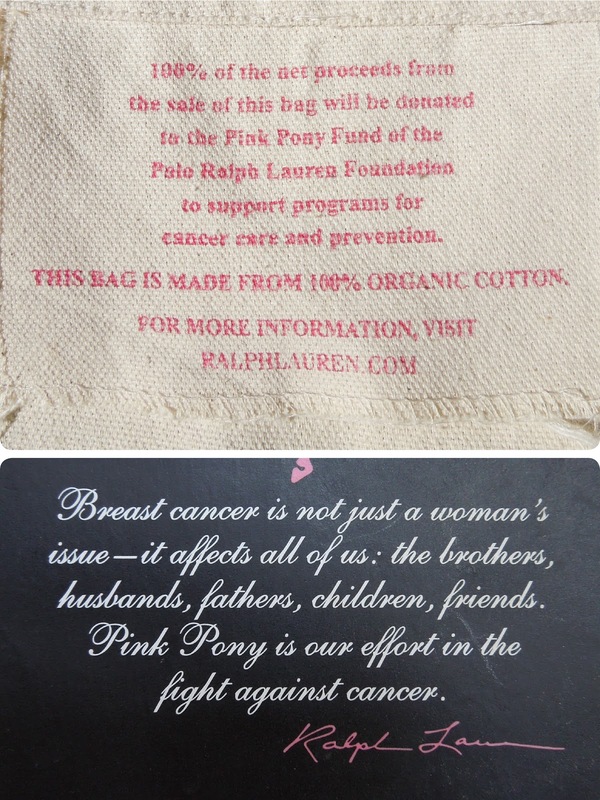 Details about the Pink Pony foundation from the inside of the tote, and from an informational postcard.